Nicknamed the “Disappearing Waterfall,” the Pondless Waterfall still gives the sounds and tranquility of a Pond with Stream and waterfall, while giving the illusion that the water is disappearing. With minimal need for upkeep, reduced water use and the ability to adapt to small spaces, this is fast becoming one of the most popular water features being installed in the St Charles, Geneva, Kane County Illinois & Chicagoland Area. Where certain constraints such as limited space can make a traditional pond or stream impossible, this is the perfect solution when a waterfall without the maintenance of a pond is desired. 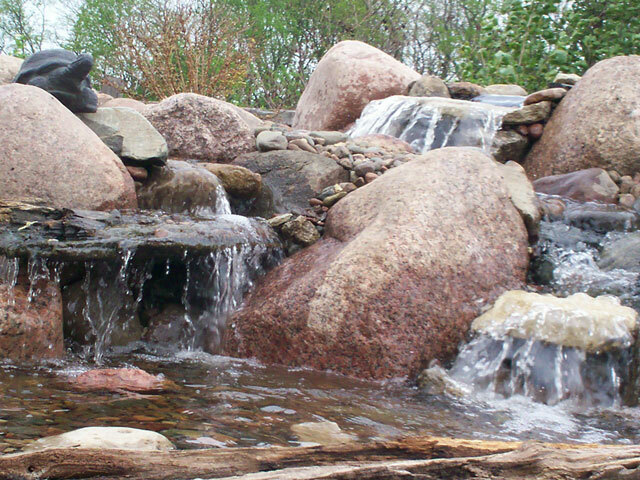 Pondless waterfalls rarely require cleanouts, making them a low maintenance option. Other than the occasional refilling of water due to evaporation, these are considered virtually maintenance free. Also considered budget friendly, this is a less expensive alternative to a traditional pond. 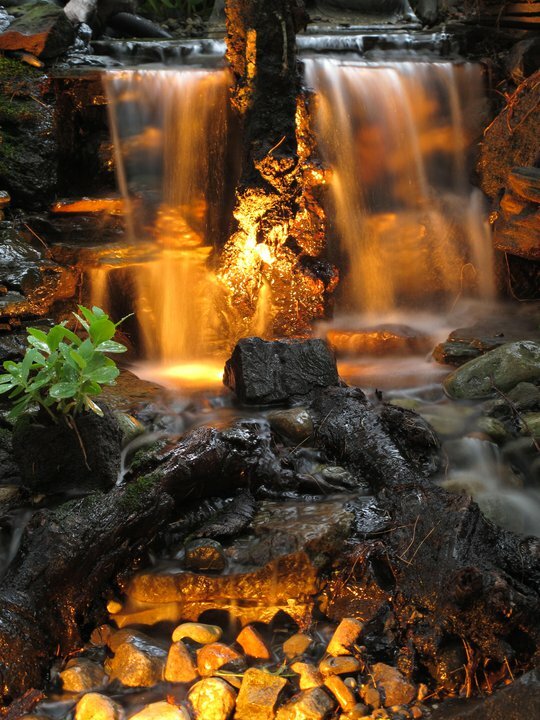 A pondless waterfall’s pump can be turned off when going on vacation, or set on a timer to turn off during the evening hours. This feature does not allow room for fish, so this also eliminates that added responsibility and the need for a pump to run continuously. Pondless waterfalls can still have aquatic plants and be made to blend in with your surroundings beautifully. They are a great choice for retirees, those with young children, or people that enjoy a travelling lifestyle. 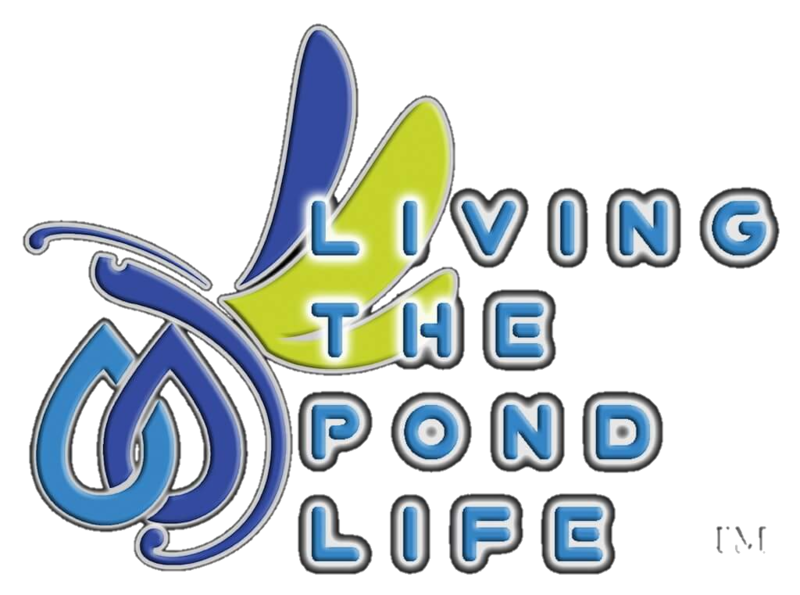 If you live in St Charles Illinois, Kane County Illinois or the Chicagoland area, consult with your Ponds Inc. representative who will be happy to assist you in determining if this water feature is best suited for you. Where Does The Water Go ? Pondless (Also called Disappearing) water feature systems are perfect for schools, businesses and those who want a front yard water feature, travel frequently, have young children or limited space. It's called a disappearing pondless waterfall because the water does not form a pond but instead disappears into an underground pondless reservoir beneath rock and gravel.